Camping trips, patio drinks, beach parties, and BBQs will expose you and your guests to numerous insects in the area. Most insects carry germs that could infect you during such occasions. That is why you need to have the right insect repellents to get rid of these unwanted pests. Most over-the-counter insect repellents are made of strong chemicals that are not good for your health and well-being over time. That’s why you need to make use of homemade insect repellents to get rid of these insects. Essential oils are the most effective when it comes to repelling insects. Tea tree oil is great against ticks, deer flies, and chiggers. Lemon and eucalyptus are great against mosquitoes and black flies. Geranium and peppermint oil blended together is also an effective mosquito repellent. You should not apply a full-strength essential oil directly on your skin. It should always be mixed with a carrier oil before rubbing on the skin. 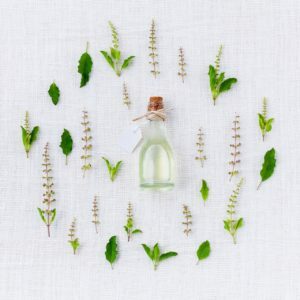 It is better to use one essential oil at a time when preparing the homemade insect repellent. But if you plan to mix the scents, you should mix oils within the same scent family. For example, lemon and lemongrass go together while eucalyptus and lavender could be mixed together. Tea tree and clove oil should be used on their own. Lavender oil could also be mixed with rosemary and peppermint to make an insect repellent. These are very important things to consider when making your own homemade insect repellent. We’ve seen an increase in the use of non-toxic oils for insect repellent lately and thought you’d like to give it a try. We are located in the Heart of the New York Wine Trails! For those who want to come out and have the fun of camping without the RV! ©2016-2018 Cheerful Valley Campground. All Rights Reserved.